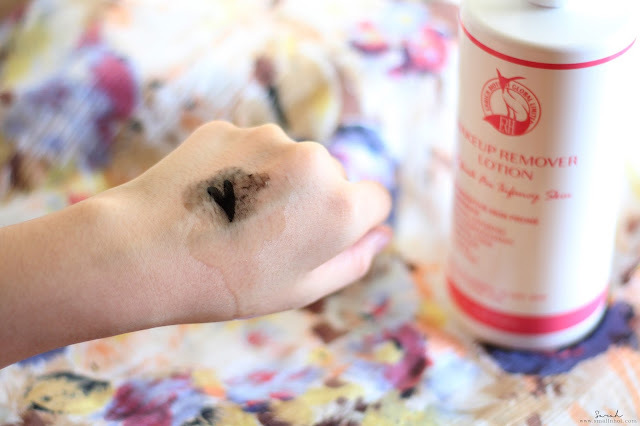 If you've been prepping your makeup to last the whole day with water proof styling then it's likely you'll also need a kickass makeup remover to remove it. When I'm wearing waterproof makeup especially eyeliner and mascara, my usual Bioderma or Simple makeup remover just won't cut it as I end up with uneven blotches all over that take forever to remove. In this desperate moments I call in the big guns. 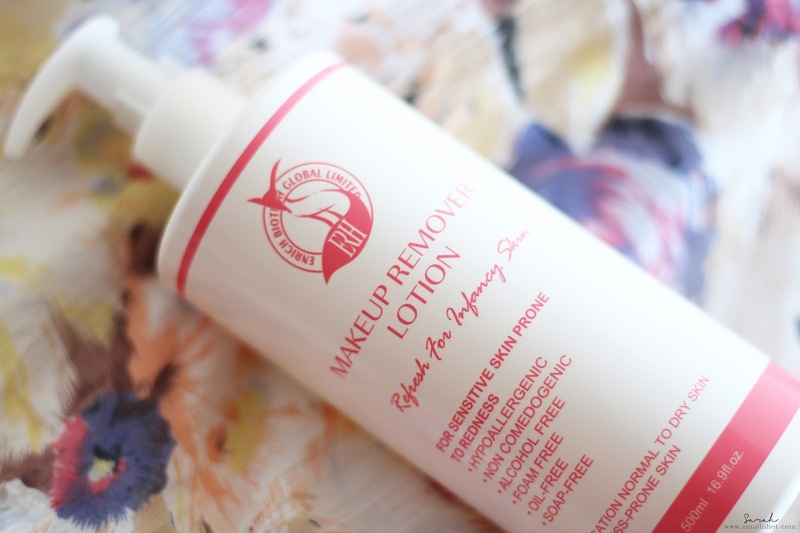 Say hello to my new discovery Taiwanese beauty, ERH Makeup Remover Lotion. This ERH Makeup Remover Lotion is for gentle and sensitive skin, I find it, does not strip the makeup and leave your face dry and tight like how other remover's do. Instead, it leaves my skin feeling soft and smooth after a cleanse. All is needed is just a few pumps of this goodness and a gentle massage on your face and it'll melt away all the makeup, even the most stubborn makeup seem to breakdown very quickly in just a minute or two. Unlike the Banila Co. makeup remover, it doesn't make your eyes feel weird after washing it off, so for those with sensitive eyes, this may be a lovely alternative to try. It's been the longest time since I found a makeup remover that actually works gently and effectively. I think this ERH Makeup Remover will be added on my skincare shelf. Will be trying out more ERH products soon, so stay tuned for it.